← Oh no! I’ve been diagnosed as being Gluten, Dairy and Wheat intolerant. Everyone loves their Grandma don’t they? They’re possibly the most special person anyone lucky enough to ever have one has ever had, along with Granddads of course! Grandparents have all the joys of having young children but don’t have the responsibility of discipline. Today one of my Grandma’s would have been 86 years old which I suppose would have been a good age. Sadly like her mother and my own mother, she died very young at the age of just 62. Still in those 15 odd years that I had the pleasure to share my life with, I fitted in so many good times and probably many of the best times of my life. My Grandma was a very simple and caring lady. Never did she start an argument with anyone and never she did cause anyone harm. She was always loving and kind and friendly. She was probably the nicest person I ever met and I’m glad she lived so that I could see her almost as an adult as well as a child. Lots of people have said that out of all her descendants, I’m the most like her and many have also said that our of all my relations, she is the one who I most take after. In fact aside from all her positive attributes above which I like to think i share, we both had dietary problems and issues related to our eyes which no-one else has. So it seems I share not just her temperament but obviously many genetics too. Grandma always had her apron on or pinny as she would call it and I would spend all my time in the kitchen with her and Granddad watching them cook and bake which Grandma did a lot. She made the most exquisite Rock Buns and I have found no-one else who can make anything close. Cherry pies and trifle were some of her other specialities. 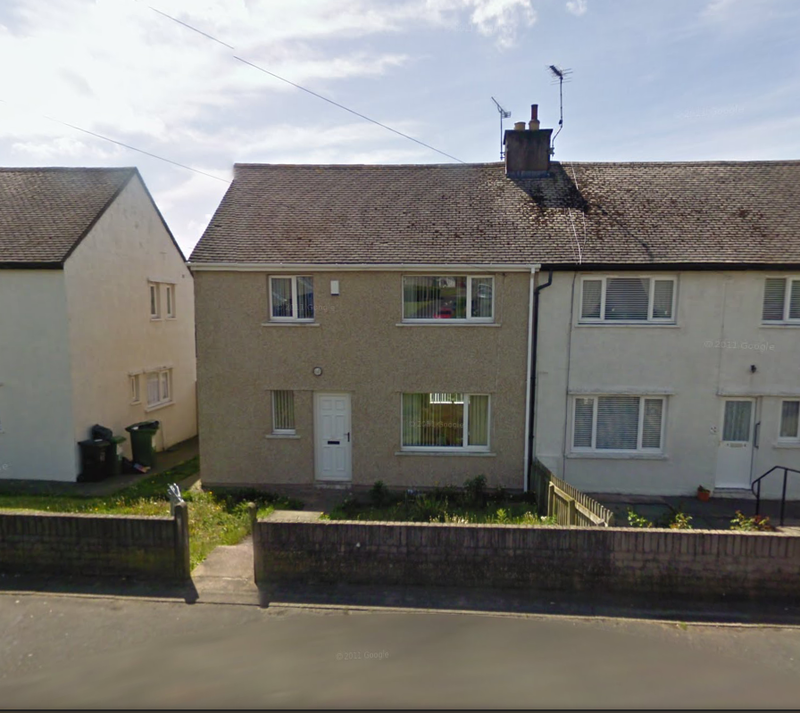 Grandma and Granddads house, now looking much more 21st century. Happy times! From when I was 5 – 8 years old I would spend my school summer holidays with them which was around 6 weeks. It was heaven. Many people say that school or university was the best time of their life but for me it was definitely the 21st July to 3rd September of those summers. My Grandma was such a nice person and I loved spending time with her. I would cross over the road to the little shop and do her errands. Often she would give me 10 or 20 pence to buy some polo mints or the like and always she would give me an apple whenever I went out or went away. Several times a week we would go on day trips, I think they would get heavily discounted train tickets and we would go everywhere in a 150 mile radius, up to Glasgow in Scotland, all around the Lake District and Yorkshire and to places like Blackpool, Southport and Preston in Lancashire. It was all very exciting and train travel is still by far my very favourite method of travel. They would always like to play games with me when the journeys were long and I don’t think she ever had to tell me off. Grandma had quite a sweet tooth and would always pester Granddad to take her to a cafe for a cup of tea or if possible a scone or sausage roll. Granddad would often squirm out of them stating they were a waste of money as he could make her tea at home for free. 35 years on I sympathise with both Grandma and Granddad!! I’m not at all one for paying to eat out, especially not for tea in a cafe and if Granddad though 40 pence for a cup of tea was a bit steep then £4 for a coffee today would no doubt see his hair turn whiter than what it eventually did. I would get to know their routine and was given my own bedroom for the 6 weeks. Always the early bird, I would often be up at 5am to see my Uncle go off to work and wait excitedly for his return at 5pm despite the fact that he would often put on the news when Grandma and I would have preferred to watch Fame, Bewitched or Dallas! Grandma, in fact both my Grandma’s, really enjoyed doing jigsaw puzzles and in the evenings, mornings and very wet days in we would work on difficult jigsaw puzzles, 500-2000 pieces in size and often it would take us anything from a few days to several weeks to solve. I still like jigsaw puzzles now even though I haven’t played one since I no longer had a Grandma. If someone wants to buy me one, please go ahead! I think also spending so many summers with them when little gave me lots of patience. Aside from the fact that there were only 3 TV channels back then and they only started at 9.30am and 11am, they lived in quite a small village, didn’t have a car or a telephone or central heating it helped me learn patience and even today I never ever get bored… something the dozens of 6 hour car journeys to see them must also have helped with. They lived in a rather antiquated house in a rather poor and deprived council (social housing) estate so there were times of boredom though I didn’t mind it too much. I liked the rhythm of the day, getting up early. Having some brown bread an butter sandwiches about 7am or maybe some toast. Grandma also made the best toast possible. Then I would help Granddad clean out and light the coal fire, we’d have a cup of tea and listen to BBC Radio Cumbria or Carlisle until the music of Border TV started about 9.20am. If you want to relive the halcyon days before TV was 24 hours a day just feast your eyes and ears on this. The music is Chi Chi/The Bingola/Keltic Prelude March, Keith Papworth/Vivian Ellis/L.E. de Francesco (Border Television). By far the most iconic was the Keltic Prelude March. Just watch/listen to the link below at 2 minutes 14 seconds. How rousing and how special it made it seem that television was about to start! I love that tune and no doubt heard it thousands of times. Then we’d watch a bit of a likely innane TV show and maybe go for a walk or get the bus to the nearest town, Workington, for some shopping. Other days we would just hang out together. Many of Grandma and Granddads relations lived in the village and nearby area and there were so many people around. It was a lot of fun meeting everyone. Granddad always loved going for walks and I would go with him for hours on end. I guess we would walk 6 or 7 miles at least which wasn’t bad for a 5-8 year old or a man in his high 60’s. When we’d get back, Grandma always had something yummy waiting for us. Grandma always gave the nicest cuddles and hugs too. There aren’t many people who were even softer than my Mama but Grandma and maybe myself were/are. Many a time I sat on her lap on her rocking chair as she knitted. We would also spend a lot of time making pom-poms by wrapping wool through cardboard hoops. It was always sop exciting to see how it would turn out. I really feel the need to make a pom-pom again. I need to do a lot of things that I haven’t done since Grandma. I still remember everything about her and have nothing but good memories of her. I remember her 50’s era hoover and fridge. The noise of the strip lighting in the kitchen ceiling. The smell in the kitchen, and the coldness and sound of the plastic flooring there and the funny water tap which Uncle Harold could play music on. The smell of toast or chips, beans and sausages. The sound of absolute silence except for the tick-tock of the clock or on occasion the cuckoo when I was allowed to switch it on and I’d wait eagerly for 15 or 30 minutes and wait for it to pop out. Theirs was always a very cold house and I remember the cold and the smell of coal dust and lighting bricks. Only once do I ever remember it being too hot there. I remember watching the starlings and other birds feeding on the front garden as Grandma and Granddad would always throw out scraps for them. In fact one time Granddad got a knock on the door from the police as he had thrown out some of the seed that they gave to their talkative beautiful red canary. Apparently some of the seed had hemp or cannabis in which we all found surprising. No wonder little canary sang his heart out all day long, I still remember his whistle too. 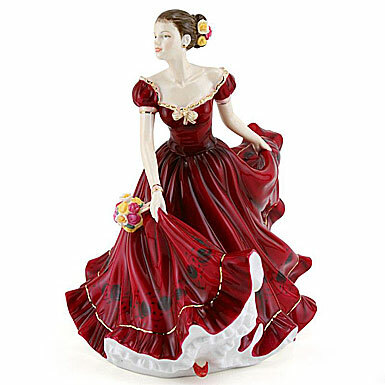 A Royal Doulton figurine called Sophie. Not particularly my thing but aren’t they beautiful. Grandma also loved Royal Doulton Lady China, she had many many of them. Two or three of them were musical. I remember the tunes, one of them was “I could have danced all day, I could have danced all night”. She also had some figurines of mice, they were cute and I still have one or two of them myself. Grandma had the most wonderful singing voice. She sounded just like an opera singer and countless times she would be singing and people elsewhere assumed it was a singer on BBC Radio 3. Looking at Grandma it would have been as shocking as hearing Susan Boyle sing for the first time though honestly I think Grandma had more classical operatic talent. It’s fair to say Grandma was a lot more refined than her appearance and education would have you think though sometimes we thought she was trying to be a bit posh as she pronounced some words like “Scone” in a rather upper-class way and she always wanted to change her name to Sylvia as she thought her given name of Sheila was very common. If you could sing opera, liked Royal Doulton chinaware and bake the most beautiful cakes then good for her! I miss Grandma a lot and still think of her often. So many of the best childhood memories revolve around her. She was the best and I love her with all my heart. She would be thrilled no doubt to have seen my accomplishments and she and Granddad would have loved my wife. Granddad in particular loved meeting people from abroad and Grandma loved tea-parties cakes and sweets. How could anyone not love her too? 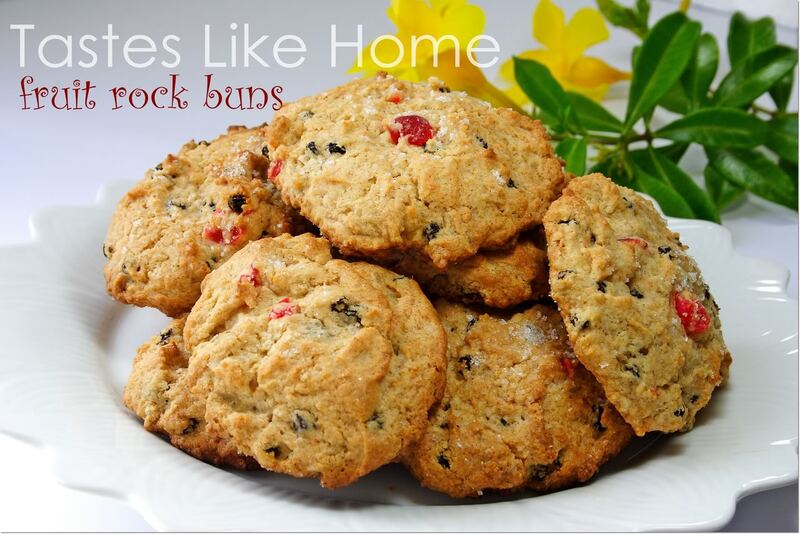 Almost as good looking as Grandma used to make – Rock buns! This entry was posted in Life and tagged Border Television, childhood, Cumbria, Family, Grandad, Grandma, Grandparents, Life, memories, nostalgia, outdoors. Bookmark the permalink. You’re very, very lucky. All my grandparents died long before I was even born. But I have photos of them everywhere, so I always feel like they’re still here. Thank-you. Yes I was lucky in that I knew 3 of my grandparents. There are lots of photos of them just not at my house. I have just found that TV music on Amazon so quickly added it to my iTunes. It will give me another memory trigger until I get hold of some photos. Thank-you for your lovely comment and I really like how you still have a relationship with your grandparents, they’d be ever so happy. A lovely re evocation. Very moving! Thank you, it was all written on the spur of the moment! Such a nice tribute to your grandmother. My mother also died young at 61. I’ll be 63 in a month and my first grandchild will be born in October. I hope that I can live long enough to make special memories for my grandchildren. A very sweet tribute to your grandmother.She sounds lovely. Both of my grandmothers died when I was very young, but my daughters have been able to spend a lot of time with both of their grandmothers. Thank-you Merril. She was. I’m sorry to hear about your grandmothers. I think it is such a gift to children to have their grandparents and I’m sure that grandparents must enjoy having young children to dote on almost as much. You often hear people say how they don’t like their siblings or parents but very rarely their grandparents. Thank-you Nancy. I used to often write letters to mine from about the age of 4 years of age and even in the late 80’s always write out thank-you letters for presents too. I also used to like spending what little money i had on going to the public telephone box and making my own calls to their house. Even 30 years on, I can still remember the telephone number off by heart. I agree with you about todays children, see my related post from earlier this summer (https://stephenliddell.co.uk/2018/08/08/imprisoned-childen-phone-zombies-do-you-ever-feel-like-youre-living-on-another-planet/) I hope the younger members of your family keep in touch.